A Batman Costume Is Always A Popular Halloween Costume Choice For Kids And Adults Like Them Too. One sold out quickly last year...it's the Batman Bold and Brave costume. Batman Brave and Bold is an animated TV show. In each weekly episode Batman teams up with another superhero from the DC Universe to stop villains or solve crimes. It's amazingly popular with young kids and that explains why this costume is already hot! You can pick out all the accessories you want to build your costume this Halloween. See you at the Bat Cave Party...Pow...Zap! 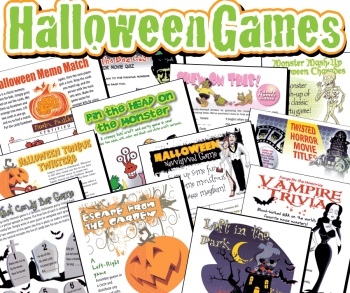 Look at the fun assortment of printable Halloween trivia and word games you can order. You can find lots more Halloween costumes and fun Halloween party supplies and decorating props for your great party ideas.